Add an attractive, professional flair to your game room. This high quality Premier Cone Chalk Holder will keep your cone chalk within handy reach of your game. Safely mounted on the wall, your cone chalk (not included) sits atop the decorative holder for billiard players to rub their hands on during the game. Available in Mahogany and Walnut finish. 180-Day Limited Warranty. Have a blast with the Back Stop Table Tennis Table. Back Stop is built with strong 1-3/8-in powder coated steel legs that make this table extremely stable and easy to play. The high grade 3-in locking wheels make moving Back Stop quick and easy. The heavy duty 3/4-in thick CARB certified MDF playing surface is coated with 20 layers of high quality coating that ensures a uniform, consistent bounce. The table folds at the center for individual practice. Both ends of the table fold up for compact storage when not in use. An easy to use, unique safety mechanism locks the table during normal play or storage. Back Stop comes complete with 2 table tennis paddles and 2 balls. 1-year limited warranty. Build confidence with every shot you take using the Hathaway Conquest 58-in fibreglass Cue Stick. This high-tech 18-oz fibreglass cue features a super slick, pro tapered shaft, 12mm polycarbonate impact resistant ferrule, multi-layered leather tip, quick lock stainless steel joint and a soft textured comfort grip. The decorative design, quality features and superior craftsmanship give this pool cue a very stylish look with pro level playability. Available in 3 colours: Black, Blue and Red. 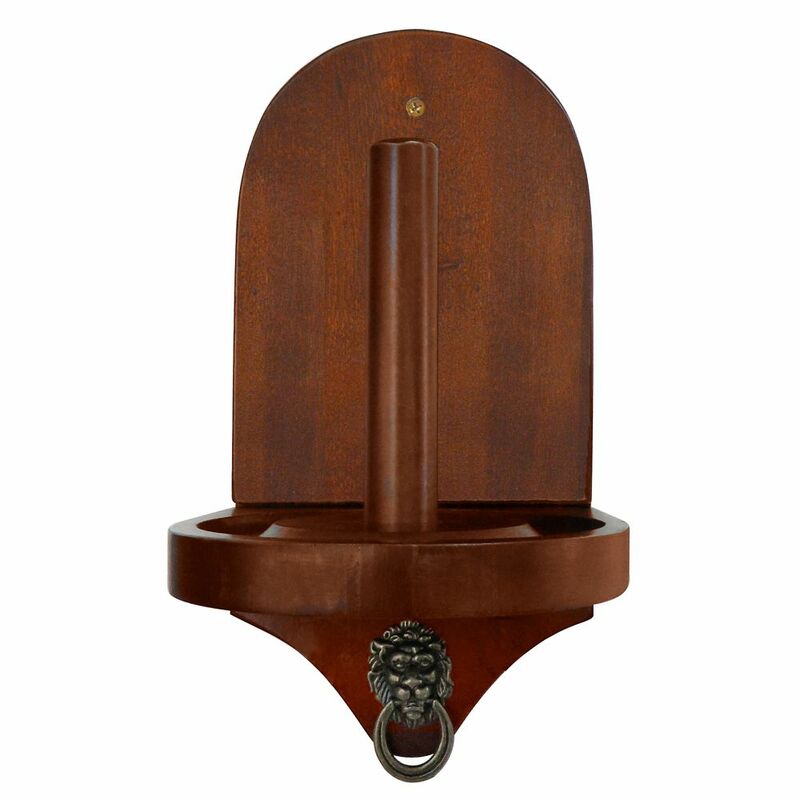 Premier Cone Chalk Holder in Walnut Finish Add an attractive, professional flair to your game room. This high quality Premier Cone Chalk Holder will keep your cone chalk within handy reach of your game. Safely mounted on the wall, your cone chalk (not included) sits atop the decorative holder for billiard players to rub their hands on during the game. Available in Mahogany and Walnut finish. 180-Day Limited Warranty. Premier Cone Chalk Holder in Walnut Finish is rated 5.0 out of 5 by 1.